Andrea Toulouse wins twice at the conference "Photonics West 2019"
At the Shenzhen university the opening ceremony of the Chinese-German Research Center took place. 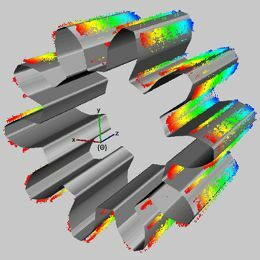 Endowed chair "Optikdesign und Simulation"
The group of 3D-surface metrology is dealing with sensors for the assessment of the shape of three-dimensional objects. The core competencies reach from design of optical systems and the development of specialized signal processing algorithms all the way to questions concerning the automated planning of measurements and the integration of sensors into multi modal and multi scale measurement strategies. 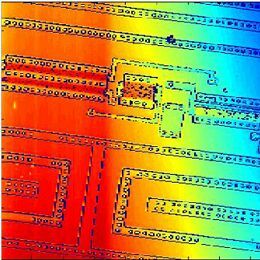 For this purpose various commercially available simulation tools are routinely applied for the characterization and optimization of sensor systems. These simulation tools are supplemented by custom build extensions or in house developed simulation tools wherever necessary. All measurement systems and the respective signal processing algorithms are developed within an Open-Source software environment that is being developed at the institute, thereby guaranteeing industry ready prototypes. 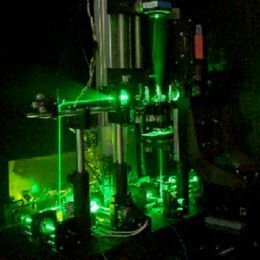 The main focus of research activity in the group 3D-surface metrology has been devoted to confocal sensors, white light interferometry, structured illumination techniques as well as to optical coherence tomography for the assessment of the three dimensional structure of biological specimen. ...and just for fun: "Fourier Art"
The goal of our group High-Resolution Measurement and Simulation is the investigation and development of optical measurement techniques that allow high-precision measurements in the subwavelength domain. 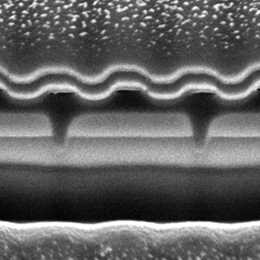 In particular, our work focuses on the characterization of optical surfaces and volumes as well as technical surfaces in the field of semiconductor industry. 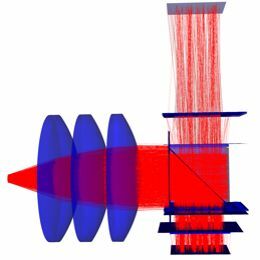 Our emphasis lies on the rigorous simulation of the actual light-structure interaction including the modeling of complete optical measurement processes. 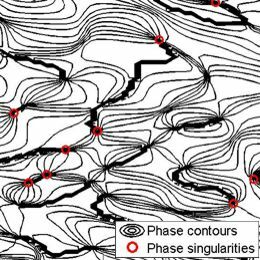 On the other hand, we experimentally investigate new and proven methods for metrology that use besides the intensity also the polarization and phase of the light as additional information channels to obtain maximum structural information accuracy. 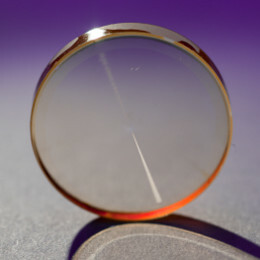 Our measurement methods include various microscopic methods as well as diffraction and polarization-resolved scatterometry. 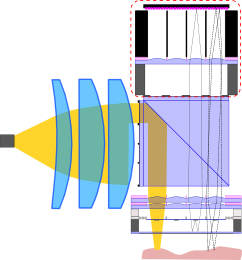 The objective of research of the group Interferometry and Diffractive Elements is the study of new measurement concepts by using diffractive optics. 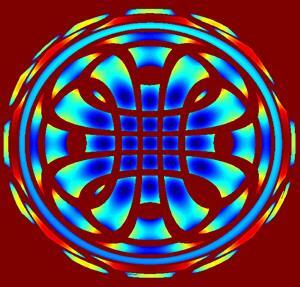 One focus is in the area of mold testing optical surfaces, especially of aspheres. Computer-Generated Holograms (CGH) can be used for this purpose which are designed and fabricated at ITO. In addition, flexible measurement methods are examined, that are able to supplement or replace the static null test. 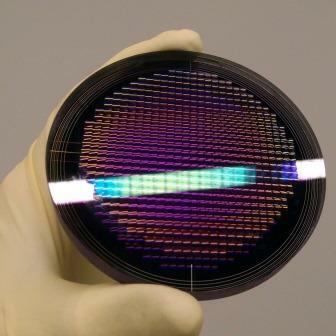 In addition to CGHs for interferometry we develop and fabricate diffractive elements and micro-optics for other Applications, such as UV measurement systems, beam shaping tasks and wavefront sensors. Our research objective is based on the development and application of coherent optical techniques for 3D-shape measurement, deformation measurement, and the determination of material properties of technical objects and biological tissue. Aside from the quantitative measurements of shape and deformation, methods for non-destructive material testing are also developed and applied.